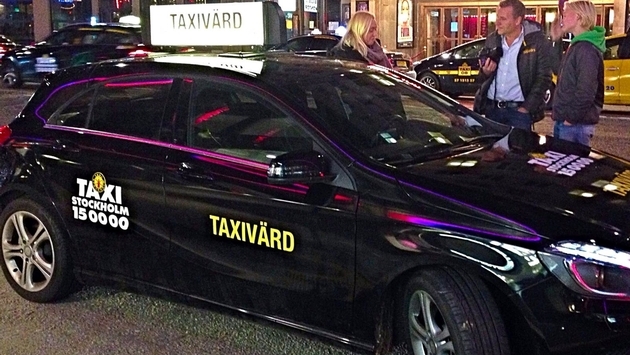 A taxi company operating out of Sweden’s capital offers a peculiar perk to riders: psychotherapy. Now if you have Stockholm syndrome, you can perhaps get diagnosed in a Stockholm cab. The Local’s Oliver Gee (h/t Oddity Central) reports on Taxi Stockholm, a cab company that started sending therapists along to hear and help various passengers. The report states the initiative started on Nov. 3, lasting a week. However, Oddity Central proclaims therapy rides will continue for two weeks. You can find out more at the company’s website for the event or its Facebook page, the former includes profiles on the three therapists you can book. “Around 70 percent of people said their taxi journeys were a good time for reflection and that they often found their minds wandering. It remains to be seen if the initiative is pushed further into the season, or brought back into the fold down the line. We presume its popularity will signal whether the service will be a one-hit wonder or something included on more of the company’s cars. All we know is that some cab adventures feel like they warrant post-ride therapy sessions, so perhaps this peculiar program is actually a perfect fit.